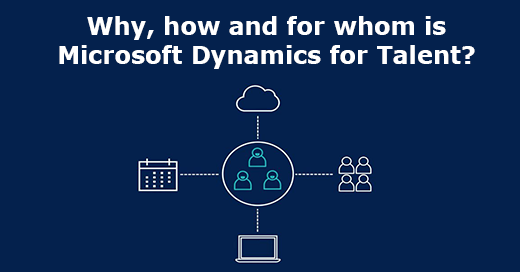 Why you should use Dynamics for Talent, the latest HR solution of Microsoft. Microsoft Dynamics 365 for Talent, the latest HR solution from Microsoft, as part of the Dynamics 365 family. But why should you use Dynamics 365 for Talent and what is the difference between Talent, Finance and Operations and AX 2012?